The Civil Engineering Profession is heavily influenced by the decisions of our elected officials and appointed public policy makers. All ASCE members are encouraged to get informed about the issues and decisions being made and contact their representatives to ensure their voice is heard. The Pittsburgh Section Government Relations Committee helps to keep our members updated about current legislation which may impact our profession. Follow the latest PA State legislative news and happenings using ASCE's StateTrack system. In addition to the legislative and regulatory reports, state pages have been customized with key facts about the state legislature, a list of Key Alerts that require your attention, as well as a news feed. • access relevant infographics, videos, national and state data and more! Get it now! Download it for your iPhone or Android smartphone. America has significant infrastructure challenges – congested roadways, overflowing sewers, transit systems that break down. But that’s only half of the story. 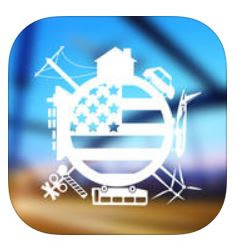 ASCE is highlighting the innovative ways infrastructure is being built today, taking advantage of lower prices, new project delivery methods, and innovative engineering and technology that is ransforming public spaces and position America for economic growth. Explore ASCE’s #GAMECHANGERS website to learn about examples of innovation across the major infrastructure sectors – how we deliver drinking water, treat wastewater, build roads and bridges, design transit systems, generate and distribute energy, and move goods to market. ASCE National maintains a Key Contact program for members to stay up to date on both state and national policy issues. ASCE Key Contacts also influence the policy process at the state and federal levels by developing relationships with elected officials. We encourage all members to sign up on the key contacts website. The Government Relations committee is actively involved in promoting the findings of the 2014 Pennsylvania Infrastructure report card and will begin developing the 2018 in 2017. More information on the PA Report Card and opportunities to provide technical expertise and policy recommendation for future report cards can be found here.